Ashley Deary attempts a layup. The senior will look to lead Northwestern over a struggling Wisconsin team. Jonathan Tsipis’ first season coaching Wisconsin has seen a laundry list of disappointments: an eight-game losing streak, a 35-point output at home against Idaho State and a winless conference record as the calendar turns to February. The Northwestern coach didn’t find immediate success in his first season in the Big Ten either, guiding his team to just seven total wins and finishing 10th in the conference. 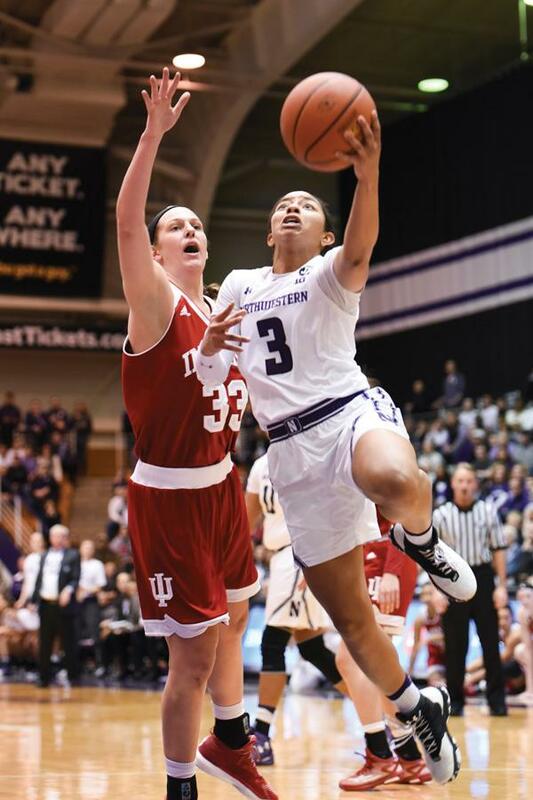 When the Badgers (5-16, 0-8 Big Ten) and Wildcats (16-5, 5-3) meet Wednesday in Evanston, it will be a matchup between a program rebuilding from scratch and a reestablished one that was rebuilding not too long ago. It could take some time, however. Previous coach Bobbie Kelsey took over the program after five-straight postseason appearances from 2007-2011. But Kelsey never eclipsed .500 and lost at least 19 games in each of her five years at the helm. She was fired after last season, and Tsipis arrived from George Washington, where he guided the Colonials to the NCAA Tournament each of the previous two seasons. That makes for a striking similarity with McKeown, who spent 19 years at George Washington before coming to Evanston. He guided the Colonials to 441 wins and 15 NCAA Tournaments, including the Sweet 16 twice in his final two years. But when he came to NU in 2008, he inherited a program that hadn’t made the tournament since 1997. Since McKeown’s arrival, the Cats have tallied five winning seasons. They made the tournament two years ago and have a good opportunity to do so again this winter. Parallels aside, NU is presently the far better program. No player on the Wisconsin roster has ever made an All-Big Ten team, while the Cats boast three-time first-team selection Nia Coffey, a senior forward, and reigning Defensive Player of the Year Ashley Deary, a senior guard. Statistically, NU is better across the board. The Cats sit above the Badgers in scoring offense, scoring defense and scoring margin and are five games ahead in the conference standings. Even last season, when NU stumbled to a 4-14 mark in Big Ten play, it rolled past Wisconsin in Madison and snuck out a win in a Big Ten Tournament rematch. Though the bottom-feeding Badgers don’t pose the threat of the likes of No. 3 Maryland or No. 14 Ohio State, senior forward Lauren Douglas said that won’t affect the Cats’ approach. Matchups with elite teams like Maryland and Ohio State often inspire extra motivation. But a game with Wisconsin can do the same for an NU team seeking a return to the NCAA Tournament.